The programme offers high-achieving young researchers in Berlin, who already have a source of funding, the chance to include a postdoctoral researcher from abroad in their junior research group and to obtain additional support for material resources. The programme also seeks to attract international postdoctoral researchers to Berlin by offering them the opportunity to work in the city for up to five years. Junior research group leaders, who are already receiving funding (e.g. from the DFG or an ERC Starting Grant) to set up and establish a junior research group at one of the respective Berlin universities or Charité, are eligible to apply for this programme. Funding is available for a postdoctoral researcher (Einstein Postdoctoral Fellow) who must be recruited from abroad by the applicant. The researcher’s remuneration will be based on the collective wage agreement adopted by the state of Berlin and may in exceptional cases equal the income of the junior research group leader. Applications may also include an item of expenditure of up to € 20,000 per year to cover material resources for the Einstein Postdoctoral Fellow. In addition, funding may be made available to enable the junior research group to take part in further training in science and research management. Before applying for this programme, the applicant must have procured funding to set up and establish a junior research group at a Berlin university. Applicants are required to use the application forms provided by the Einstein Foundation. Applications may be submitted twice a year in any discipline by the dates posted on the Foundation’s website. A description of the part of the project on which the Einstein Postdoctoral Fellow will work. An explanation of how the work of the Einstein Postdoctoral Fellow will be embedded in the project as a whole, and of the expected added value for the junior research group. A cost plan according to financial year. The approved funds may only be drawn through the university or Charité in accordance with the regulations on third-party funding. 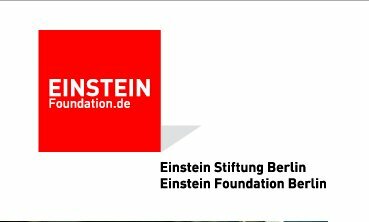 These institutions will also become the respective employer of the individuals who receive support from the Einstein Foundation Berlin.